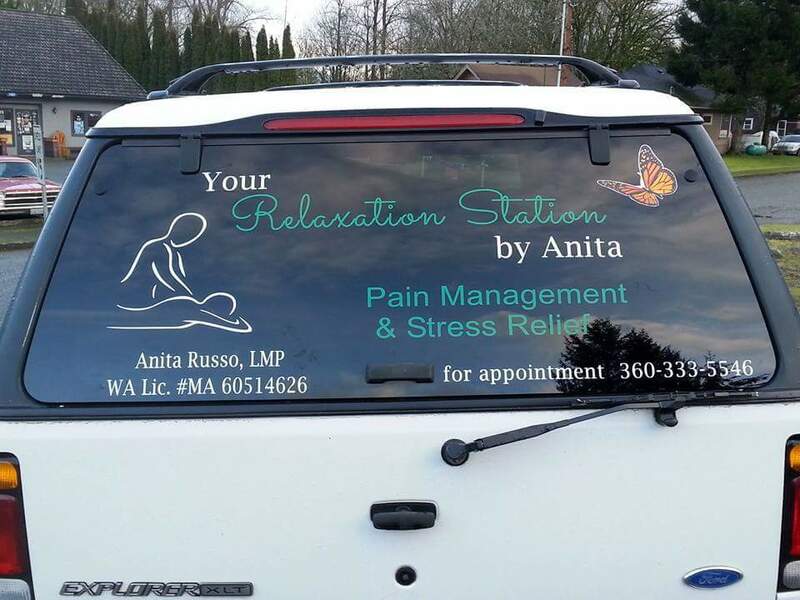 Hi, my name is Anita Russo, Licensed Massage Practitioner, and I am very excited about sharing my “gift of healing” in the quaint town of Concrete to those who live here as well as those from surrounding areas. I am very passionate and interested in ALL forms of healing and am looking forward to gaining more knowledge and experience in all areas pertaining to the sense of the well-being of the WHOLE person — spirit, mind & body. After the first time, a 60 minute massage by me will cost you $60 and if you would like to use the machines again, it will cost you $10 for 15 minutes or $15 for 30 minutes. Whether you prefer a Swedish massage, Deep-Tissue massage, or a combination of both – please call 360-333-5546 to set up your appointment today. I look forward to our visit! Namaste and God bless you.